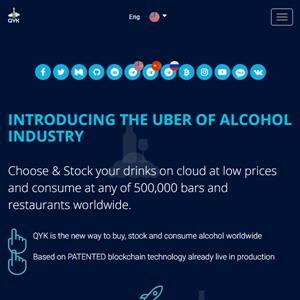 QYK is world’s first platform to buy, stock & consumer alcohol on the cloud! Yes we are the UBER for alcohol industry. Our vision is to create a new Decentralized Ecosystem for Alcohol Industry thereby connecting Consumers, Bars, Distributors and Suppliers using PATENTED blockchain technology.